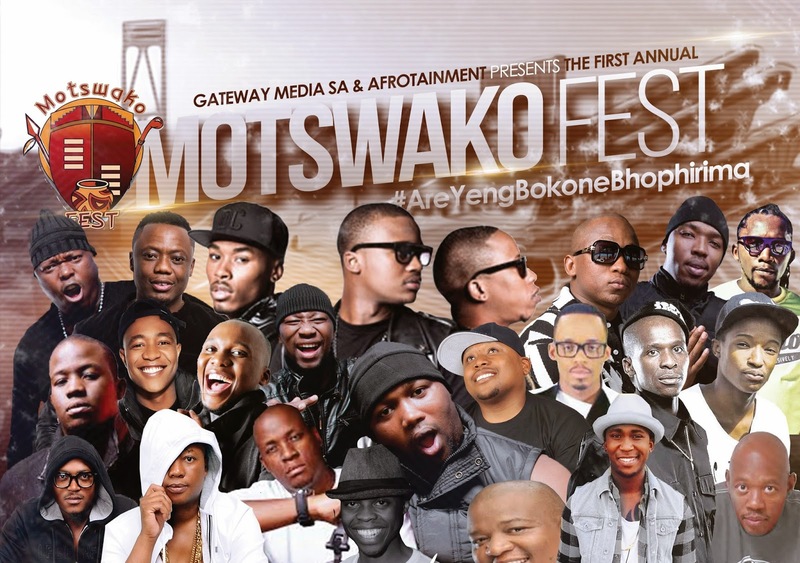 North West province will be ablaze this coming weekend as GATEWAY MEDIA SA and AFROTAINMENT team up to bring some of Mzansi's biggest music stars to Mafikeng for MOTSWAKO FEST on Saturday 30th May at the Mmabatho Stadium from 12h00 till late. Tickets are presold at Computicket for just R150 but you can still get them at the gate for only R200. Limited VIP tickets are just R500. Coolerboxes are allowed up until 5PM – but no bottles. 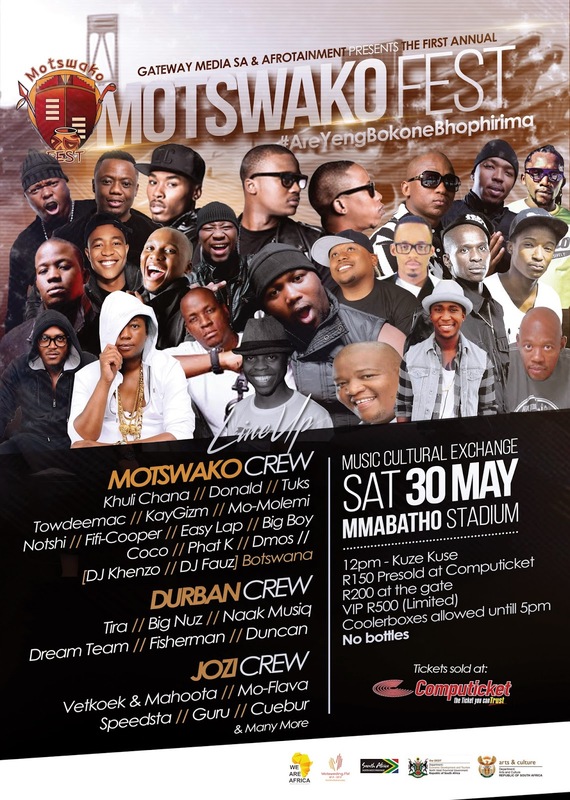 MOTSWAKO FEST on Saturday 30th May at the Mmabatho Stadium from 12h00 till late.